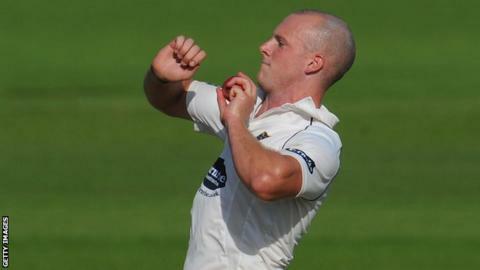 Sussex seam bowler Lewis Hatchett has signed a new two-year contract, keeping him at Hove until the end of 2016. The 24-year-old took 22 wickets at an average of 44.27 in eight County Championship appearances in 2014. The Shoreham-born left-hander was also a regular in one-day competition, taking 20 wickets in total. "If I can keep improving like I did last year then I know I can make an impact in the first team across all three formats," he said. "I was really happy to have performed roles like death bowling in one-day cricket and I felt I also improved in four-day cricket. "If I have another good winter and work hard then I won't be far from where I want to be."